There are sometimes that I just want a simple smooothie (still super nourishing though) and today was one of those mornings. That and I didn’t have any fresh greens on hand. Last summer I posted a recipe for cherry bomb ice cream (take frozen bananas and cherries and puree in a food processor until smooth..yes it is that simple) that is amazing so I decided to make a smoothie with similar flavour. Let me tell you this smoothie won’t disappoint. 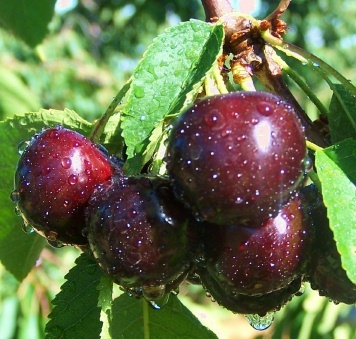 • Helps reduce pain and inflammation – studies show that the anthocyanins can help reduce inflammation in the body. Anthocyanins also promote muscle recovery post exercise by reducing inflammation and promoting healing of the muscle tissue. Therefore this smoothie would be a great post workout treat that will provide your body with optimal nourishment for muscle recovery. • Ellagic Acid has antiproliferative and antioxidant properties. The antiproliferative properties of ellagic acid are due to its ability to directly inhibit the DNA binding of certain carcinogens = in simple words – it helps prevent many types of cancers. Now don’t you just want to go and eat some cherries??? I bought some local Canadian frozen strawberries from my local market. Please note that cherries are on the dirty dozen list according to the Environmental Working Group, due to its pesticide residue; please purchase organic when possible. 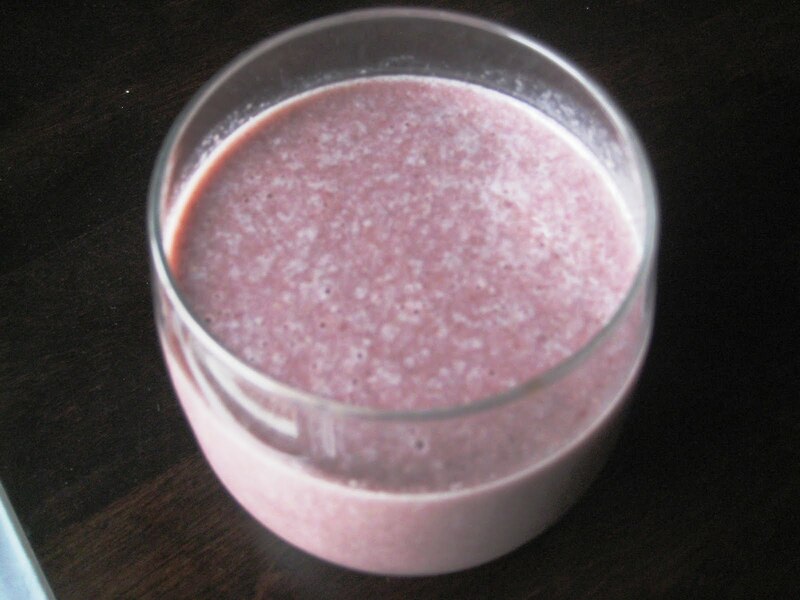 Here is the simple, nourishing and delicious recipe!